SCE Big Creek hydrographers Bob Brown (left) and Jim Ward prepare to drive an aluminum tube into the snow. SCE hydrographers Jim Ward (left) and Bob Brown use a handheld scale to measure the snowpack in the aluminum tube. The serrated end of the aluminum tube used by hydrographers to measure the snowpack. SCE hydrographers record the snowpack measurements at up to 10 locations at each snow course in the Sierras. This D-shaped track in the snow is left at Heart Lake after the snow measurement. Brad Bohlmann (left), an SCE helicopter pilot, helps SCE hydrographer Jeff Sherman weigh a core sample during a snow measurement. 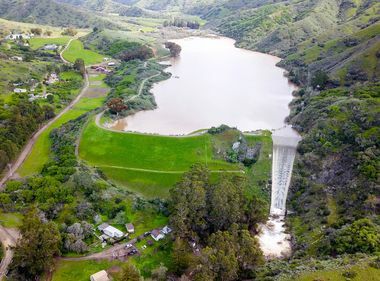 Their recent measurements will be the basis for SCE’s forecast for reservoir levels and hydroelectric generation this summer. During the summer, Kaiser Pass in the Sierras east of Fresno looks like a typical alpine meadow of grassland and wildflowers. But in the winter, the meadow disappears under a carpet of deep, powdered snow. To the rare visitor, the mountain pass is a piece of heaven. 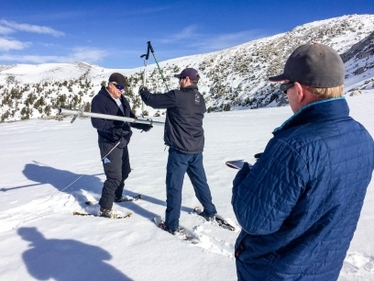 For Southern California Edison’s hydrographers, it’s the office, one of about 22 mountain locations they visit every month during the winter to take snow measurements. The surveys they take — at some of the highest elevations in the lower 48 states — help SCE forecast runoff to power the utility’s hydroelectric plants through the spring and summer. The data also helps plan and manage the water that will be available to pass on to lakes for recreation and to water agencies and farmers in the San Joaquin Valley below. This year’s snowpack is particularly significant because of the near-record snows after five years of drought. But first come the snow surveys, a grueling task done in person by two-man teams of SCE hydrographers from Big Creek, Bishop and Kernville, who fly up to the “snow courses” by helicopter, drive up in a Sno-Cat or ski in. 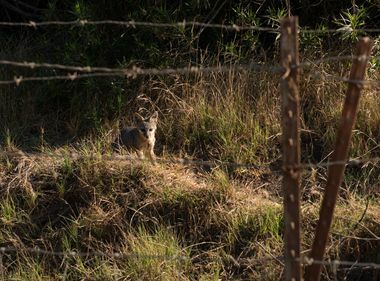 Once on site, they use cross-country skis or snowshoes to go as much as a quarter of a mile farther to get to the designated measurement sites. It is “breathless” work in often knee-deep snow at elevations up to 11,600 feet. This year it was particularly challenging because of the near-record snow. In late February, the snowpack averaged 184.7 inches or more than 15 feet deep. For the measurement itself, the hydrographers drive a 1½-inch hollow aluminum tube into the snow, adding additional sections of tubing until they hit the dirt. They pull out the snow-filled tube, then use a handheld scale to weigh it. This stream near Huntington Lake in the Sierras shows the spring runoff has already begun. Normally, one hydrographer handles the tube while the other records the results. But during the February trip, the snow was so dense that it took two of them to force the tube down the last four or five feet through the layers of snow and ice. The tube with the core snow sample inside, however, was too heavy for their handheld scale so they had to remove the core to weigh the ice by itself. The hydrographers also visit up to four other sites where they physically measure the snow to double check the accuracy of the state’s automated “snow pillow” monitors. SCE shares all of its snow survey data with the state Department of Water Resources for the agency’s statewide annual runoff forecast. 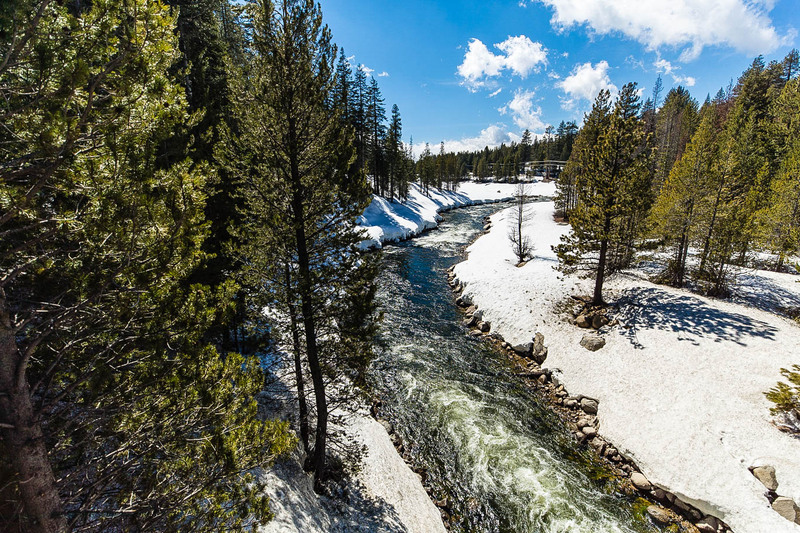 The most recent survey, taken the last week of March through April 3, showed the spring snow runoff already had begun, but water content still averaged 190 percent of normal. 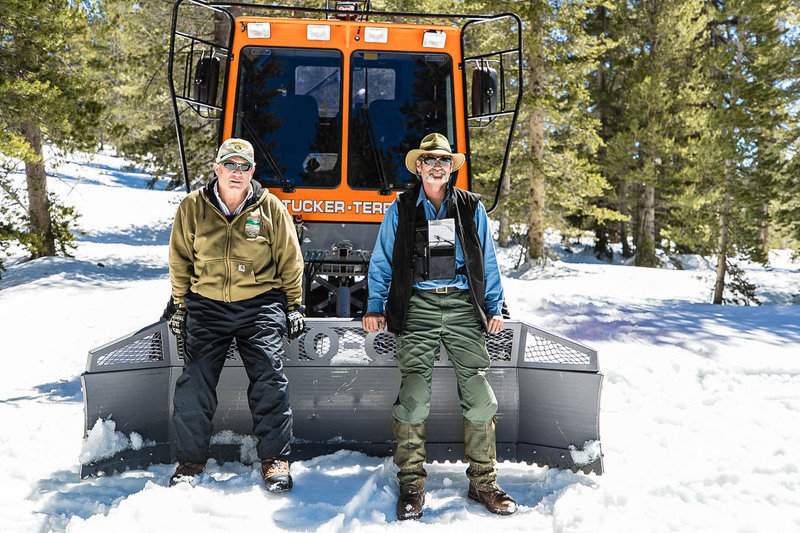 SCE Big Creek hydrographers Bob Brown (L) and Jim Ward in front of a Sno-Cat. That was good news for SCE’s hydroelectric forecast. In normal years, hydroelectric generation provides about 5 percent of SCE’s power. That dropped to just 2 percent in 2015 at the height of the drought. With this year’s near-record snowpack, SCE expects up to 7 percent of generation will be hydroelectric. 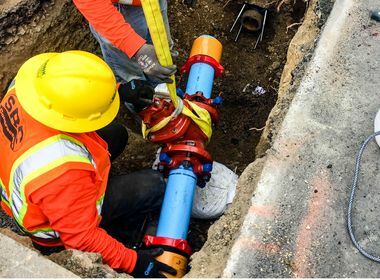 “This has been one of the top five years for our hydro system dating back more than 100 years,” said McMillan, the SCE hydro manager.